You will need confidence to be in the ideal condition to compete. Confidence allows us to confront difficult scenarios in a well-organized way and with the right skills at the ready. There are several players who exhibit great confidence, some of whom play with spectacular shots and have very clear method, but today I want to talk about a very special player. He’s not particularly tall or bulky, but has maintained his spot in the top 10 for over ten years. He is renowned for his confidence as a player, and feared for how tough it is to play against him. 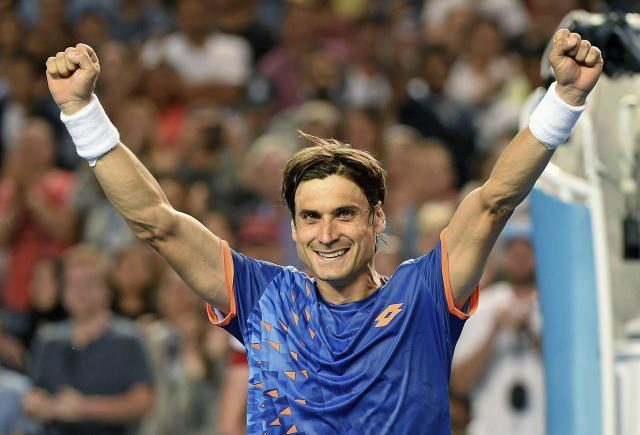 He is a champion I admire a lot: David Ferrer. We first met when I was starting out as captain of the Spanish Davis Cup Team at the end of 2005. David was one of the first players who I went to visit during preseason, at the club in Valencia where he was training with his team. I watched him go onto court and start warming up, and was immediately struck by the intensity of his play as he started to dart from side to side. Because his pattern of play includes a high percentage of crosscourt, he has to move more than usual to get behind the ball. This method of play is difficult to practice but David just kept going, again and again, crosscourt, crosscourt, more angle, more crosscourt, trying to open up the court and force his opponent to run more than him. After more than 45 minutes of this, he started with two crosscourt shots and one down the line, then one and one, working harder on the skill and gaining in confidence. It was then I realized that these tough practice sessions permitted him to apply his strengthened confidence to all the big matches. But my surprise didn’t end there: after almost three hours, he changed his shoes and went onto the soccer field, running up and down, alternating between sprinting and trotting, repeating it over and over again. He should have been working at about 80%, but he was at more like 120%, perhaps motivated by my presence. I was quite similar to David as a player, but I have to admit that I didn’t train at that kind of intensity, even though I was a hard worker. Technically. Repeatedly practicing your skills in difficult, challenging situations will help you to defeat rivals who have a better gameplay. Tactically. Organizing your skills meticulously and in an almost obsessive way, creating habits that will help resolve problems in any situation, and knowing them so well they feel like second nature will boost your confidence. The bigger the problem, the more organized and confident you will need to be. Reaching your perfect condition for competition and being able to face any difficulty means always having the tactical answer. This decreases the resources of your opponent and empowers you in the process. Physically. In order to make these skills become second nature as part of your game, you need exceptional legs and balance while moving. This allows you to counterattack against continuous attacks from the opponent without thinking or getting tired. All those organized training sessions, mixing aerobic and anaerobic exercises with continuous running, sprints, Farleigh’s, and cycling gave David huge confidence in his legs. He knows that they will be there for him in difficult situations, and will allow him to apply his tactical skills. Mentally. All this work, with its interminable repetition and practicing over and over again, being persistent and in the end discovering that it works, knowing that it will work under even greater pressure and that it’s becoming second nature, and having confidence in our skills, all results in greater confidence. Knowing that the habit that we work on the most is our most powerful tool will help us to make the shot, not to doubt ourselves, and not to falter. Believing in ourselves makes us a formidable force. By working on the skills that give us confidence, from any of the four pillars, we will improve our shots, organization, movement and focus. This allows us to remember what we do well during key moments of the match, how to do it, how to apply it without faltering and do so with all of our passion. 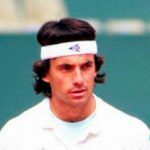 David Ferrer knows perfectly well, as do other similar players like Nadal, Djokovic or Murray, that when they face fresh rivals at the start of the match, they will suffer. However, they also know that as the match goes on, their opponent will present them with opportunities. These opportunities will allow them to unleash the best version of their own warrior, who until that moment was in hiding. The warrior is never vulnerable, has no memory of the past, and only thinks about his prey. The warrior knows how to use his tools and organize them correctly. He believes that his physical state is perfect, and his alert, responsive mind gives him the confidence to keep going. The prey starts to waver, and from then on, the warrior’s confidence empowers him, protecting him from further onslaughts. All that is left is the battle, and the knowledge that they are going to fight using the tools that give them the most confidence. Thanks to David and many battles like this one, we reached the final of the Davis Cup in Mar del Plata. There he clashed against the immense Nalbandian in the first match, but didn’t manage to survive. His tools were of no help, he wasn’t able to call on the warrior within. David was devastated, and so was I at not being able to help him achieve that important moment of glory. However, hard work always pays off, and he persevered, reaching another final a year later. This time he played against Del Potro on Spanish soil, fighting one of his biggest battles and ultimately triumphing. I was so happy and proud of him – he deserved that moment of glory so much after everything he gave to the team the previous year. I will always be thankful to him for how he helped all of us to raise that winning Cup the year before.